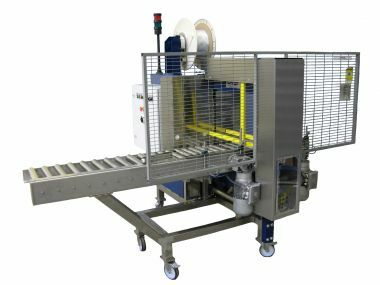 Cyklop’s Ampag Boxer YM TR is a very fast strapping machine with a side sealer and is made from stainless-steel in order to function in wet conditions. Suitable for strapping with 5, 9 and 12 mm PP strap. The machine is maintenance free and highly suitable for intensive use. The side sealer makes the strapping machine resistant against dust, sand and dirt.